Viral: Anne Curtis Bullied By Showtime Co-Hosts? Check These Videos Out! We've been seeing videos and photos on how showtime family enjoys their company. They're posting every single one of it on social media that has immediately gone viral within a minute on social media. It is what they do whenever they have more extra time to goof around. But there are some Netizens who claims that these jokes has gone too far especially when their prospect is Anne Curtis. 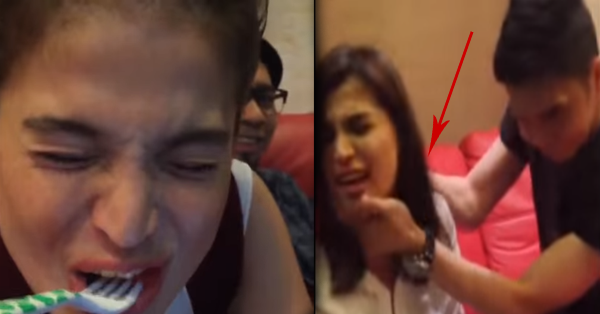 In these videos, it shows how Vhong Navarro and Teddy Corpuz tease Anne Curtis. Watch the funny videos below! Do you think that this footage shows an act of bullying?